Markings: (Recto) at lower right corner, collection mark of Sir Peter Lely (L. 2092) and an embossed stamp "SS". Secondary Inscription: (Verso) inscribed "No 5", "Ant:io da Corregio" and "2.3" in brown ink. In traditional format, Saint Matthew sits cross-legged with pen in hand, while an angel, the saint's attribute, supports Mathew's book. 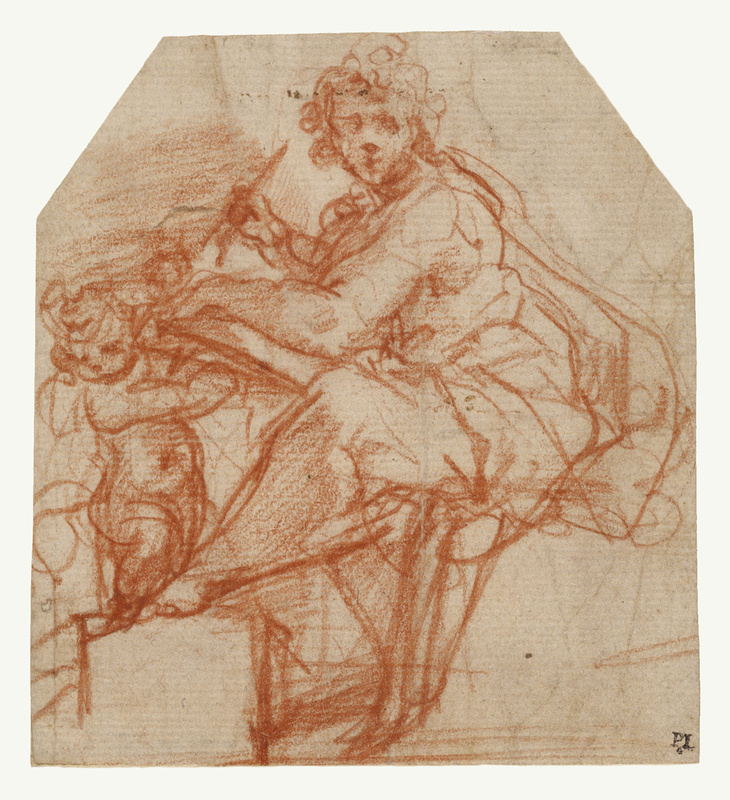 To capture an idea quickly, Correggio sketched with great freedom and speed. Here he used loops and squiggles to show Saint Matthew's hair and cursory, broken lines to shape the saint's body. The facial features are smudged, a technique Correggio used to achieve the softness characteristic of his work. This animated sketch may be an early idea for a corner of a curved ceiling in the cupola of a church in Parma. In the final painting, the saint and the angel appear with Saint Jerome.